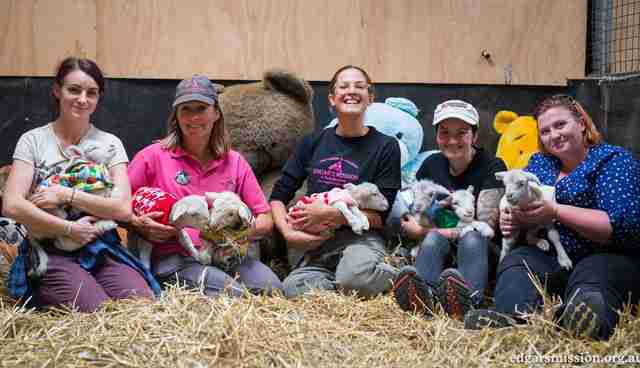 The last thing a group of duck rescuers expected to find during duck hunting season were seven baby lambs. But that's exactly what happened. 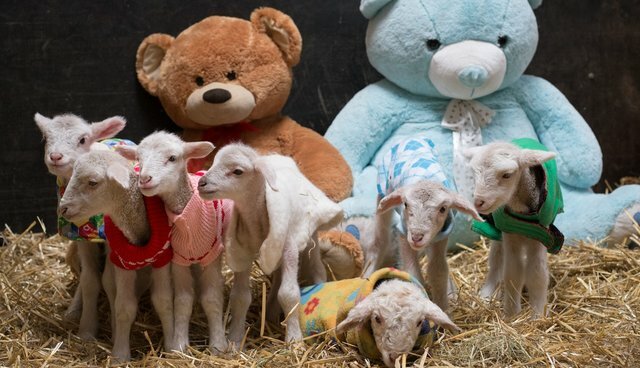 Abandoned in a paddock, the seven babies were still attached to their umbilical cords when they were found. With no mothers anywhere in sight, the duck rescuers could only scratch their heads in surprise when they came upon the lambs earlier this month. 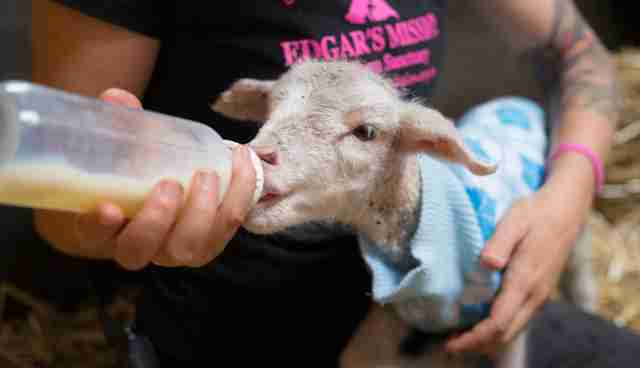 After finding the baby lambs, the rescuers contacted Edgar's Mission, a sanctuary for rescued farm animals in Australia. They then bundled up the lambs to keep them warm and ensured they were brought to safety at the sanctuary, which was happy and able to take them. "Their aim was to rescue any maimed ducks left to die by the shooters, but what they didn't expect was to be the saviour of seven very lucky little soldiers," a staff member with Edgar's Mission told The Dodo. 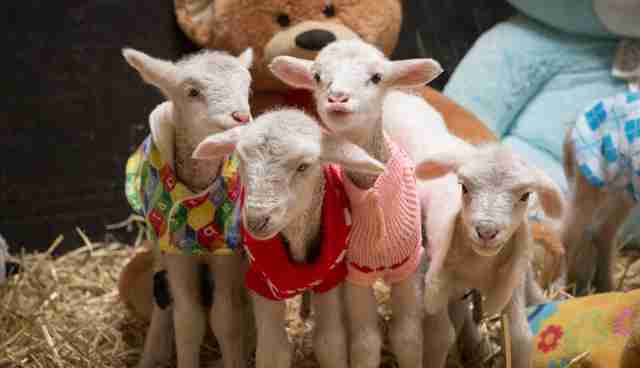 The little lambs had a rough start upon arrival at the sanctuary. 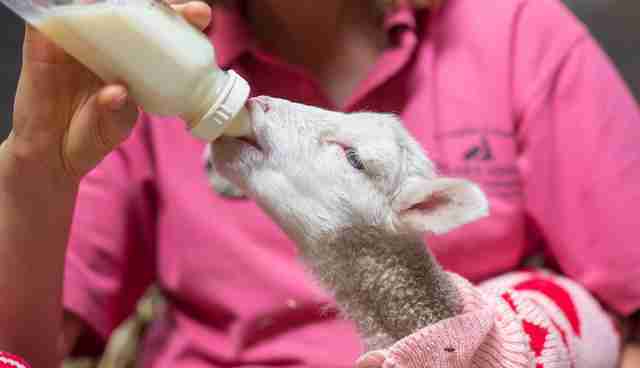 They had to be bottle-fed and needed colostrum, which baby lambs typically receive from their mothers, and is filled with necessary nutrients and is imperative for their survival. Although it was touch and go for a while, the lambs turned out to be fighters. "The lambs were determined to win the war waged against them and hold onto the lives they were given," a staff member with Edgar's Mission said. They were named Strawberry, Blueberry, Cherry, Apple Blossom, Tutti-frutti, Lima Bean and Daffodil for their sweet demeanor. 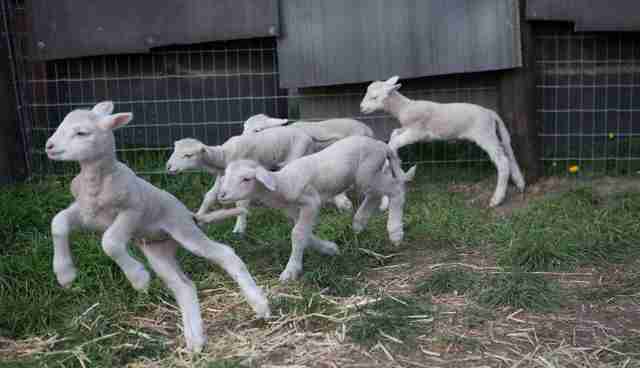 Only six of the seven lambs came completely out of the danger zone, however. 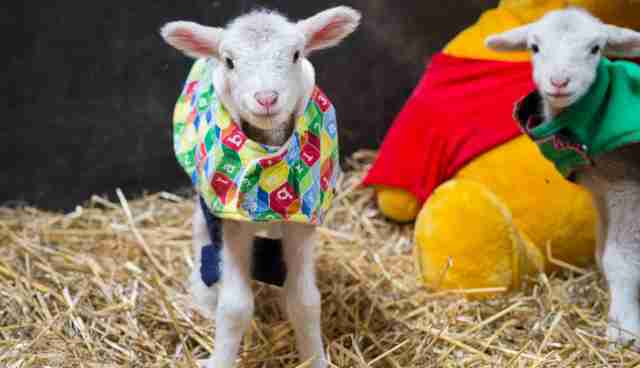 Daffodil was born with a viral disease that gave her severely deformed limbs. 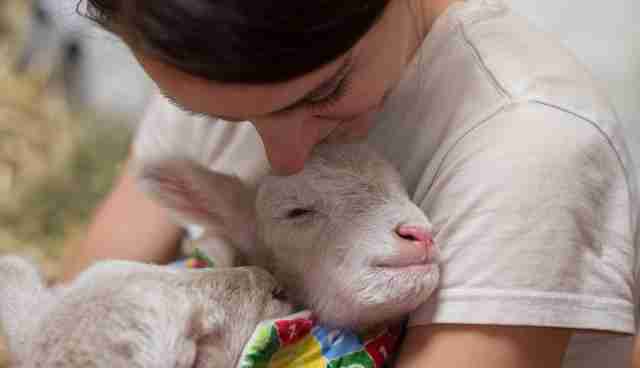 "Usually lambs with this condition are stillborn, but we're so thankful she made it as far as she did," a staff member with Edgar's Mission said. 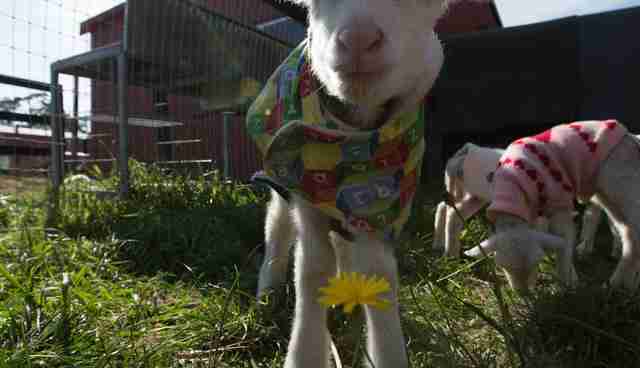 Although Daffodil did not make it in the end, her caretakers were able to love her for the short time she lived. The remaining six lambs are now thriving. "Six of the lambs have forged their way henceforth and out of the danger zone. They now spend their days springing with joy and the elation that comes with peacetime," a staff member with Edgar's Mission said. Follow the lambs and their story on Facebook. 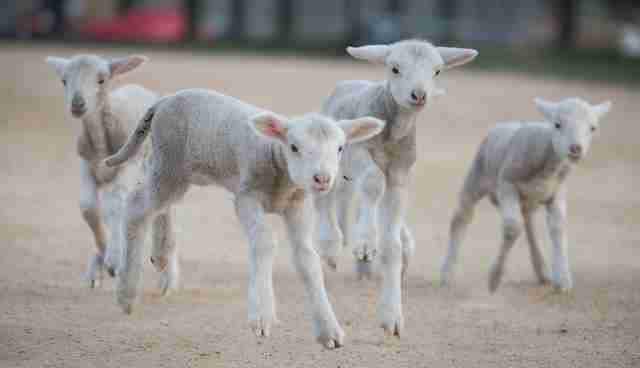 If you want to help the lambs on their journey, consider making a donation here.